A campaign is a series of communications that have a clear objective centered around a key idea or action. Marketing campaigns are often used not just to communicate a message, but to reinforce an idea that has already been communicated … and often this reinforcing message produces greater results. Consider a simple Tide detergent campaign. The same key visuals to promote a new Tide variant might be seen by consumers first in targeted YouTube pre-roll, select magazine print ads and in targeted e-letters. Then consumers may see the same key visuals and message in out-of-home advertising along their journey to the store. Finally, this consistent message would appear in store with at-shelf advertising. While each execution would be tailored for the media type, the consumer would immediately recognize the same look, feel, branding, font, key images. Importantly, the campaign would evoke a consistent urge to purchase the product. Likewise, learning professionals can use campaigns to reinforce messages. 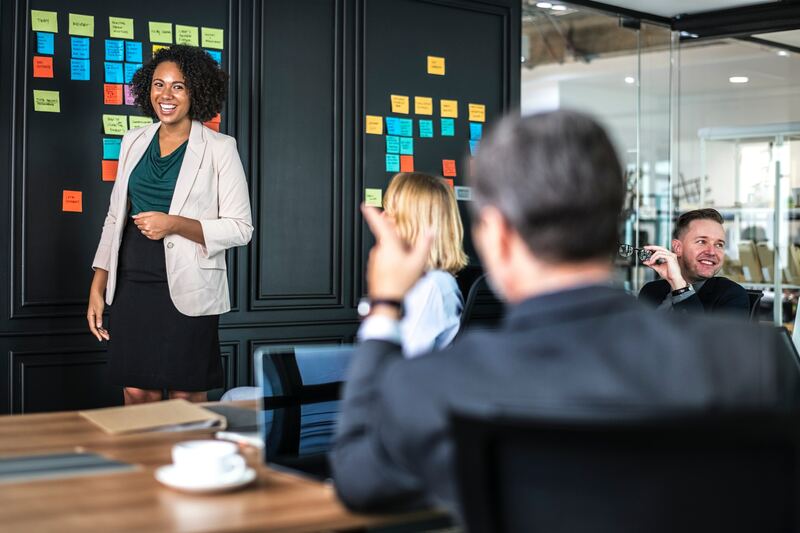 Whether encouraging employees to take a course or change their behavior based on what they learned, the amplification and reinforcement from campaigns is beneficial. For learners, it’s often not enough to just present a block of information and expect them to digest and retain it immediately. It often takes repetition for learners to take information in and reinforce the key concepts. There are increasing numbers of channels that marketers use to reach their audience, including TV, social media, email, websites, and online advertising, amongst others. Marketers use what is called a multi-channel approach to campaigns to increase the reach and reinforce their message across the different channels. Likewise, we can employ this multi-channel approach for learning solutions across touchpoints available to us. When conducting a multi-channel campaign, it’s essential that the message is consistent across all channels, so the messages complement each other and provide message reinforcement. A sales professional might get an email from their department’s Vice President about training on how to close sales – a topic that ties to the company’s quarterly sales goals. While this message appears from the VP, it’s programmed and written by the L&D department to be sent at prescheduled intervals. The email is visually designed with the key visuals and campaign slogan and includes a link to the LMS. As the employee is checking their sales targets on the company’s intranet page, they may then see a banner ad with the same key visual and tagline. The look and feel would be similar but the message may be tweaked to reflect the fact that the banner ad is adjacent to their sales results and the intrinsic motivation of wanting to improve their results. While waiting for another virtual class session to begin, this same learner may be reminded of the sales training through onscreen visuals before the virtual class starts. Upon clicking any of the links, the employee would be taken to the eLearning. Each communication would have a call to action to click to take the course. And each reminder communication would reinforce this message. Furthermore, along each touchpoint, the L&D team could capture data to see where the click-through rates were highest and they could optimize the campaign accordingly. While this example was to promote a course offering, a campaign could also be considered for a blended microlearning approach. Imagine multiple relevant touchpoints that provide microlearning or retrieval practice. After completing the eLearning, a follow-up email or text message could be sent to the learner with retrieval practice through a series of short quizzes. A short video to reinforce the main skills could be communicated through the company’s newsletter. The organization’s Yammer site may be the ideal location for the employee to apply the sales training to a provided situation while getting feedback from peers. An aspect of the sales skill could be communicated through microlearning in the form of a learning comic shared at a department meeting. What makes all these learner touchpoints cohesive is that they all have a similar look and feel and they all reinforce each other. This also makes the campaign appear bigger than it is and thus more impactful. The use of a triggered campaign is another effective marketing strategy for driving and reinforcing key messages and action at important points in time. A marketing example of a triggered campaign is a reminder email sent to a customer who has started adding items to their cart while online shopping but didn’t complete the purchase. In this situation an email would be sent to the customer the next day, reminding the shopper there are still items in their shopping cart, with a link in the email to take them back to the website to complete the purchase. In learning and development, a similar strategy could be used when a learner starts an eLearning course but doesn’t finish it; an email could be sent with a link for them to resume the course (“Hey you’re so close, just click here to finish!). Like the rest of the campaign, this communication would also have the same look and feel. While there are many aspects to marketing campaign strategies, the key takeaway for learning professionals is the concept of intentional reinforcing messages through multiple touchpoints. By selecting multiple effective channels with consistent key visuals and a complimentary message, the entire campaign produces greater results than if only one channel was used. This amplifying effect drives measurably better results that benefit your organization and the learner.